This Week In DOCTOR WHO History: Dec 4th to Dec 10th | Warped Factor - Words in the Key of Geek. We begin a momentous week in Doctor Who history with the First Doctor who, on this day in 1965, was neck deep in The Daleks' Master Plan. Episode four, entitled The Traitors, was broadcast that Saturday evening at 5:50pm and watched by 9.5 million viewers. 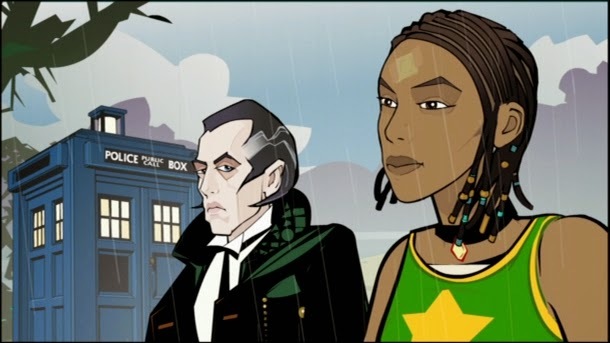 Also on this day, it may not be considered canon but episode four of the 40th Anniversary animated web adventure Scream of the Shalka was released onto the BBC's Doctor Who website at noon on this day in 2003. The third episode of The Dalek Invasion of Earth, entitled Day of Reckoning, was broadcast on this day in 1964 and watched by 11.9 million viewers. Some of you may have rushed out on this day in 1997 to purchase the PC Game, Destiny Of The Doctors. It featured specially recorded audio by Tom Baker, Peter Davison, Colin Baker, Sylvester McCoy, and Nicholas Courtney, and specially recorded audio and video with Anthony Ainley reprising his role as the Master. 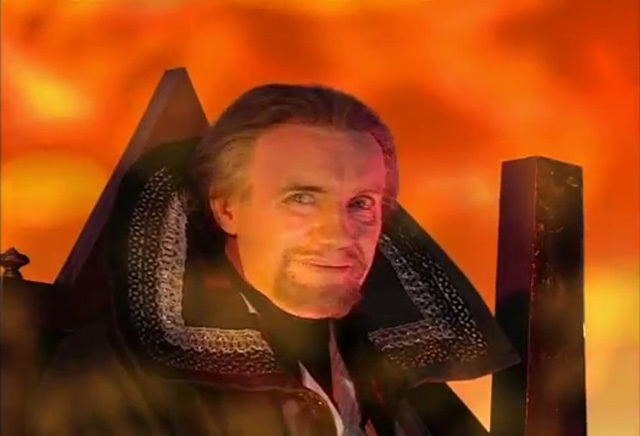 Sadly it would be the final time Ainley would reprise the role. He was invited to play the Master for Big Finish Productions' Doctor Who audio stories, beginning with Dust Breeding in June 2001. But Big Finish were unable to reach a suitable deal with him, and so the part went instead to Geoffrey Beevers. Some new-Who for you, starting with the 2009 Tenth Doctor's animated adventure Dreamland which received it's debut airing at 10am. Having already been available to watch on the BBCs Red Button service since November 21st it still drew an audience of half a million. Not 'alf bad. We also have a Twelfth Doctor adventure broadcast on this day, in fact it was just last year as series nine finished with Hell Bent. The episode was watched by 4.47 million viewers overnight in the UK, that figure rising to 6.17 million after seven days of time-shifiting. December 6th is a black day in Doctor Who history. We'll get to the reason why shortly, but first we have two part three's from two Fourth Doctor stories; 1975s The Android Invasion, and 1980s State of Decay. The first was watched by a staggering 12.1 million viewers, but oh how the mighty had fallen because in John Nathan-Turner's debut year there were just 4.4 million tuning in! "Carrot juice, carrot juice, carrot juice!" ...just before leaving the screen for good at 6.15pm. "There are worlds out there where the sky is burning. And the sea’s asleep, and the rivers dream. People made of smoke, and cities made of song. Somewhere there’s danger. Somewhere there’s injustice. And somewhere else, the tea’s getting cold. Come on, Ace — we’ve got work to do!" The third part of An Unearthly Child, entitled The Forest of Fear was broadcast in 1963 and watched by 6.9 million viewers. That's a whole million more than part two, and two and a half million more than the opening episode. Doctor Who was gaining some word-of-mouth attention from children up and down the country, but it would be another few weeks until Dalek-mania swept Britain and viewing figures leapt up to over 10 million! 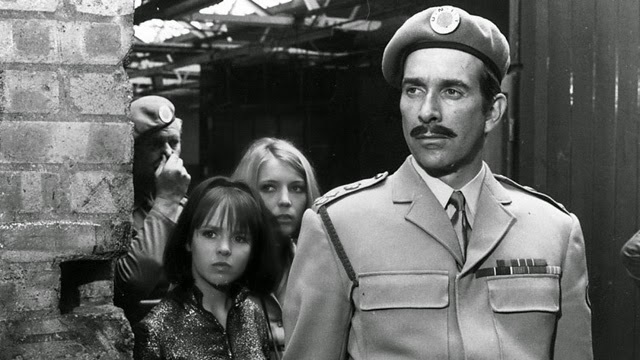 Today is not only Wendy Padbury's birthday - you may know her better as Zoe Heriot - but in 1968 it also saw episode 6 of The Invasion broadcast to an audience of 6.5 million. A story featuring herself, the Second Doctor and Jamie. December 7th also saw the final episode of season 24 broadcast, that would be part three of Dragonfire. 4.7 million tuned into that, whereas the year after 5.2 million were watching part three of Silver Nemesis. 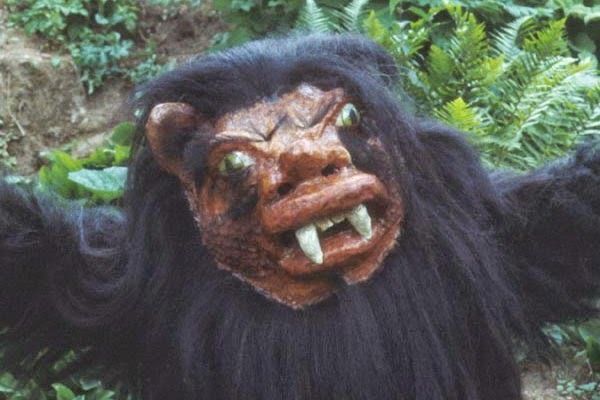 The Fourth Doctor and Romana faced the Nightmare of Eden on this day in 1979. Part three drew an audience of 9.6 million viewers. And look! The Brigadier's back. He's joining in with The Sarah Jane Adventures to tackle part one of Enemy of the Bane, which was broadcast in 2008 at 4:35pm and watched by 0.94 million viewers. One of the surviving episodes of the Second Doctor 1967 adventure The Ice Warriors was broadcast this day. That would be part five, which was watched by 8 million viewers. Fast forward to 1978 and the Fourth Doctor was starring in the penultimate episode of The Androids of Tara, which was watched by 8.9 million viewers. 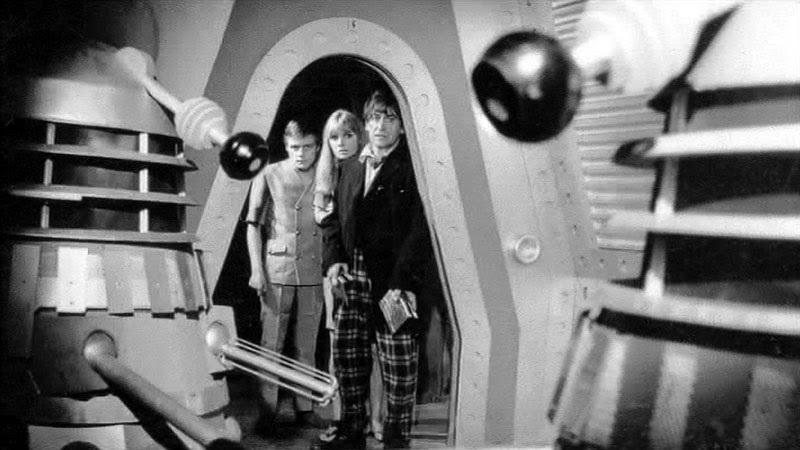 7.8 Million people watched episode six of Patrick Troughton's 1966 debut adventure The Power of the Daleks on this day in 1966. Eleven years later and Doctor number Four and Leela were drawing an audience of 8.9 million viewers for part three of The Sun Makers. And that almost rounds up another week in Doctor Who history, but before we go what's that saying about Random Shoes? They're always hanging from telephone wires, or something like that isn't it? If that's the case it hardly needs Torchwood to investigate, does it? Still 1.08 million tuned in back in 2006, so maybe there was more to it? Did you watch any of these adventures live? Did you own Destiny of the Doctors? Tell us in the comments below.